An entrepreneur who had a great impact on the urban design of Asheville was Edwin Wiley Grove (1850-1927). A druggist who had settled in Paris, Tennessee, Grove made his fortune, beginning in 1880, by creating “Tasteless Chill Tonic,” distributed by his Paris Medicine Company. 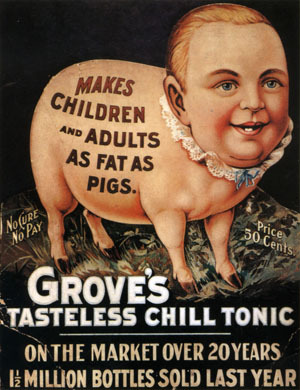 Designed to prevent or lessen the effects (“chills”) of malaria, prevalent in nineteenth century North America, the liquid quickly became popular because Grove was able to mask somewhat the bitter taste of quinine in the medication with lemon. Although it wasn’t exactly “tasteless,” the tonic was so well-liked that in 1890 it outsold that other bottled favorite Coca-Cola! 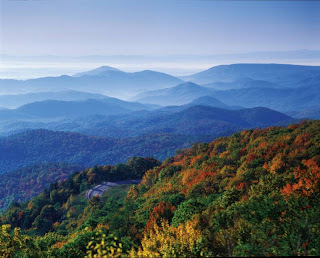 In 1897, Grove himself suffered from bronchitis and a chronic case of the hiccups for which his physician suggested a trip to the mountains of Asheville to recuperate. 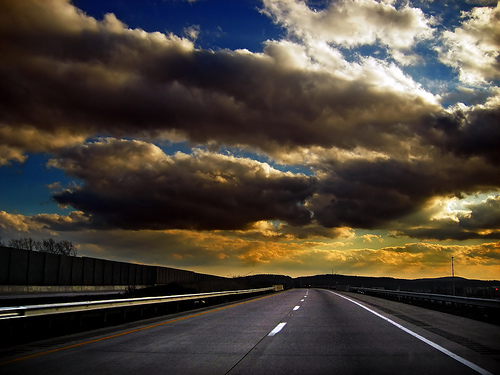 Thus began a thirty-year period of building that would forever change the face of the city. 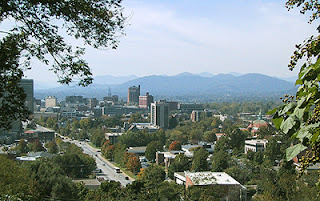 In the first decade of the twentieth century, Grove began accumulating land within the Asheville city limits. A beautiful spot on the westward-facing slope of Sunset Mountain would become the site of his resort, the Grove Park Inn. Construction began in 1912 and was completed within a year, using rough granite stones from the mountain to fashion the rustic exterior. 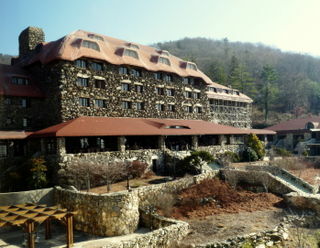 Visitors can still admire the original building with its large fireplace in the lobby and the expansive porch overlooking the Blue Ridge Mountains out back. Many new buildings have been added, as well as a 16,000 square foot spa, tennis courts, and swimming pools. Over the years famous guests have stayed at the inn: William Jennings Bryan spoke at its opening in 1913; presidents from Woodrow Wilson to Barack Obama have stayed there; celebrated Americans from Thomas Edison and Henry Ford to actors like William Shatner and Don Cheadle have found their way to the Grove Park Inn. We were there in time for the annual gingerbread house competition at Christmas. 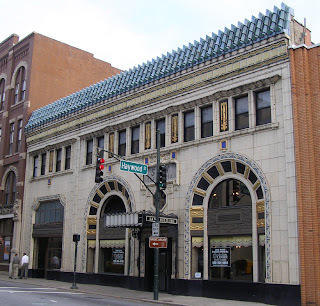 Another building project of Edwin Grove was the Grove Arcade, considered by some as the 1st indoor shopping mall in our country. Architect Charles N. Parker originally conceived the space as a fourteen-story tower on a five-story base. But Grove died before the Arcade was opened and plans for the tower were then abandoned. Restored in recent years, the Arcade contains shops, restaurants, offices, and luxury apartments. Not all of Edwin Grove’s projects received support by inhabitants of the town. For example, he had the old Battery Park Hotel torn down, the hill razed, and a new one put up in its place. One thing is for sure: Grove had a sizeable influence on the building of modern-day Asheville. The mansion pictured above is not Versailles; it is not found in France at all, in fact. 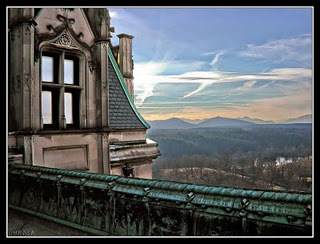 No, it is "the country estate" conceived of by twenty-six-year-old George Washington Vanderbilt in the late 1880s after visiting Asheville with his mother. 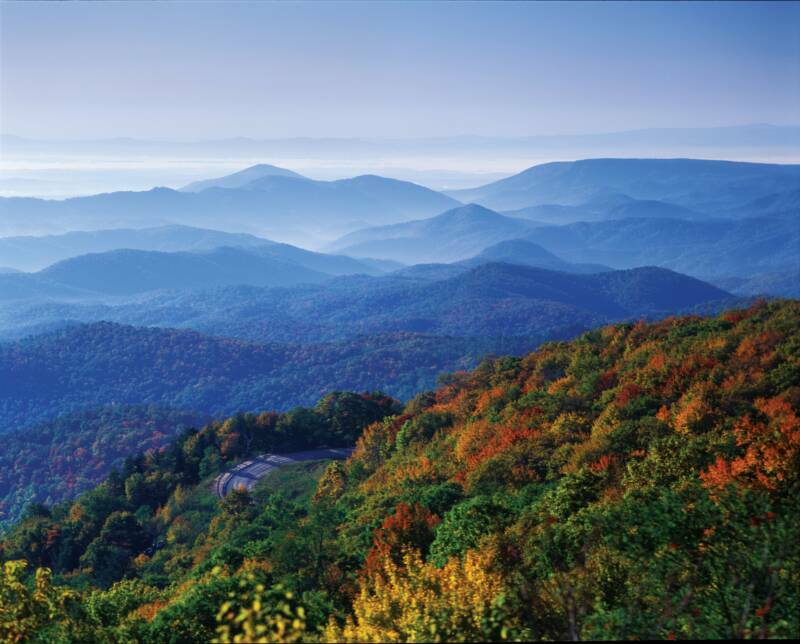 With the expertise of some of the finest architects of the period, he had the mansion and gardens constructed on a very nice piece of land with stupendous views of the Blue Ridge Mountains. A trip to the area would not be complete without a visit to the house and its property, which, at some point over the last hundred or so years, was laid out over 228 square miles. Because his older brothers took charge of managing the various businesses begun by their grandfather, Commodore Cornelius Vanderbilt, young George was able to devote himself to his passions: art, architecture, literature, and horticulture. Once he had decided to build in North Carolina, he enlisted his friend, architect Richard Morris Hunt, to help design the 250-room mansion, based on three chateaux in France's Loire Valley: Blois, Chenonceau, and Chambord. Still the largest private residence in the U.S., the Biltmore House with its 34 bedrooms, 43 bathrooms, swimming pool, and bowling alley, took hundreds of workers over five years to build. 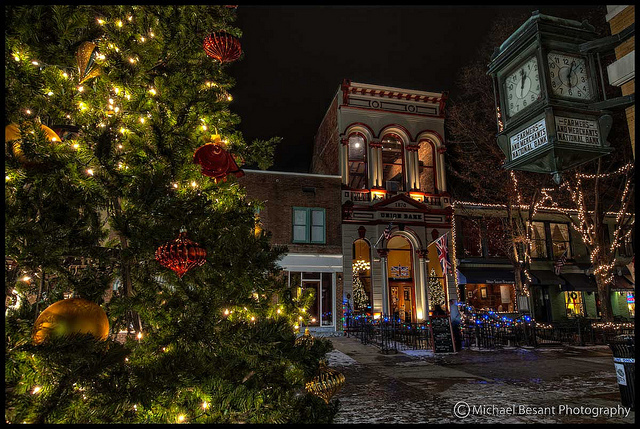 On Christmas Eve 1895, George opened his home to his family. 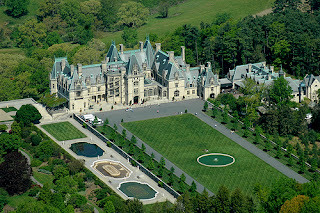 Furnished with over 70,000 objets d'art, including paintings by Renoir, Sargent, and Whistler, tapestries, porcelains, bronzes, Oriental carpets, and antique furniture, the house even contains a chess set once owned by Napoleon Bonaparte; it is truly the closest thing Americans have to a castle. Since 1930, the family has opened selected parts of the house and its grounds to the public through self-guided tours, mainly to defer the costs of maintaining the mansion and property. 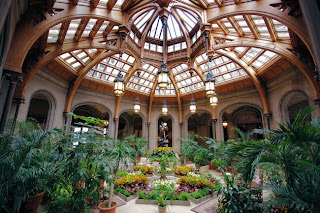 My favorite room is the Winter Garden just off the foyer, not only for the lovely vaulted glass ceiling, but also because of the relative intimacy of the space. One thing that seemed to bother all of us was the cold formality of the grandiose mansion. While the house is impressive to see, it is difficult to imagine anyone actually living there. The Banquet Hall, for example, with its seven-story high ceiling and floor-to-ceiling sixteenth century Flemish tapestries would be better as a movie set than an actual dining room. 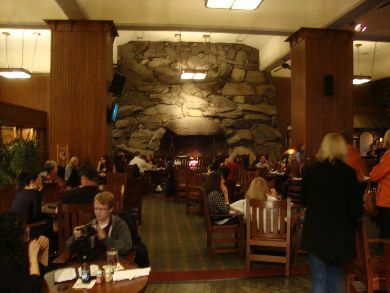 No wonder the family used a small table in front of the triple fireplace instead of the one designed to seat thirty people. The first thing I noticed on the long drive leading to the mansion was how unusual the estate’s forest looked. While there is certainly beauty in the wildness of nature, it was obvious that something had been done on the property which served to highlight every tree in the woods. Frederick Law Olmsted, father of American landscape architecture and designer of Central Park in Manhattan, was employed by Vanderbilt for the outdoor design of the estate. 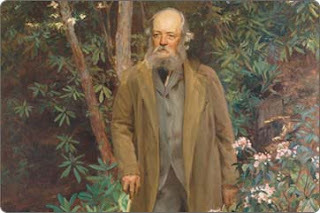 Olmsted encouraged Vanderbilt to have “a scientifically managed forest” by removing poorly formed and damaged trees, thus giving the best trees more room to grow. To this end, Vanderbilt hired Gifford Pinchot—1st chief of the US Forest Service and future governor of Pennsylvania—whose management plan of identifying species and selective thinning of trees continues to the present day. Other accomplishments of Olmsted’s last and largest project included planned fields, formal gardens, reflecting pools, greenhouses, and a bass pond. 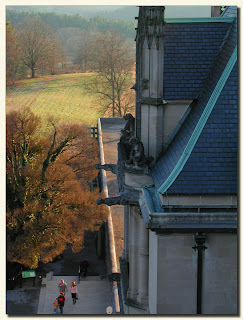 The downside is that there are no formal tours of the Biltmore House. The result is that there is little order to the visit, which can cost as little as $45 per ticket and as much as $67, and still attracts tons of visitors! Since we were meeting our son and daughter-in-law at the airport in Raleigh on the 22nd, we picked as our overnight stopping point a city about a seven-hour drive from home: Winchester, Virginia, population 26,000. What a lovely surprise it turned out to be! Located in the Shenandoah Valley in the extreme northern part of the state, this municipality, established in 1748, is full of history. George Washington did sleep here—as well as Stonewall Jackson and country singer Patsy Cline! 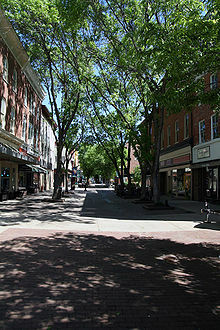 What’s more, Winchester has a beautifully preserved Historic District with a very European feel to it. It was fun to relax after a long day on the road by exploring the streets of the downtown area. We spent about an hour and a half taking advantage of the pleasant temperatures to enjoy the Christmas decorations of Old Town. We admired the colonial architecture and stopped in at a few shops like the bookstore, the wine store, and the Handworks Gallery, which showcases global art, pottery, and the like. We enjoyed Winchester so much, in fact, that we stayed there on the return trip as well. It’d be great to go back sometime for the Apple Blossom Festival in late April, too. Having done our gastronomic homework before leaving home, we knew which restaurants we wanted to check out in downtown Winchester. 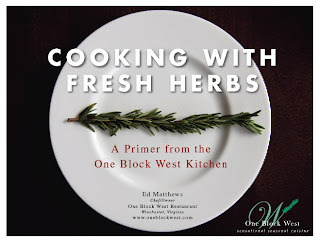 We were not at all disappointed with our ultimate choice: One Block West. 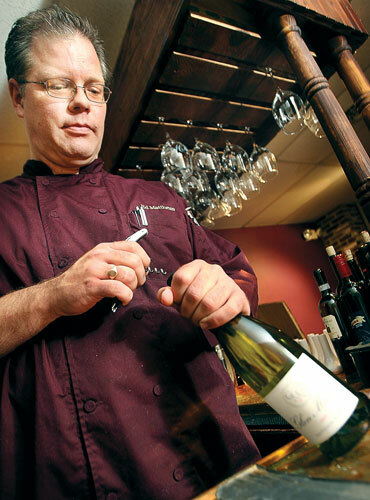 The restaurant’s name, cleverly chosen by the owner and executive chef Ed Matthews, indicates its location just west of the main street in the historic district. Because of the town’s proximity to our nation’s capital, many folks from D.C. come to this restaurant for supper and find the prices quite palatable, too. Using seasonal local products, the not-classically-trained chef creates the kind of eating place he always wanted to have in northern Virginia. Our meal there was terrific in every way, something that rarely happens, in our opinion at least. We started out with a tasty wild boar terrine for my husband, and a beet salad with goat cheese, cranberries, and watercress, topped with spiced nuts for me. Might try my hand at making that dish one of these days! As a main course, hubby chose wild mushrooms in puff pastry, while I went for the shepherd’s pie with ground lamb. Along with it, we had a New Zealand Vinterra Pinot Noir. For dessert, we split La Bête Noire, which was, as described on the menu, a “sinfully rich flourless dark chocolate torte.” What a way to start a vacation! 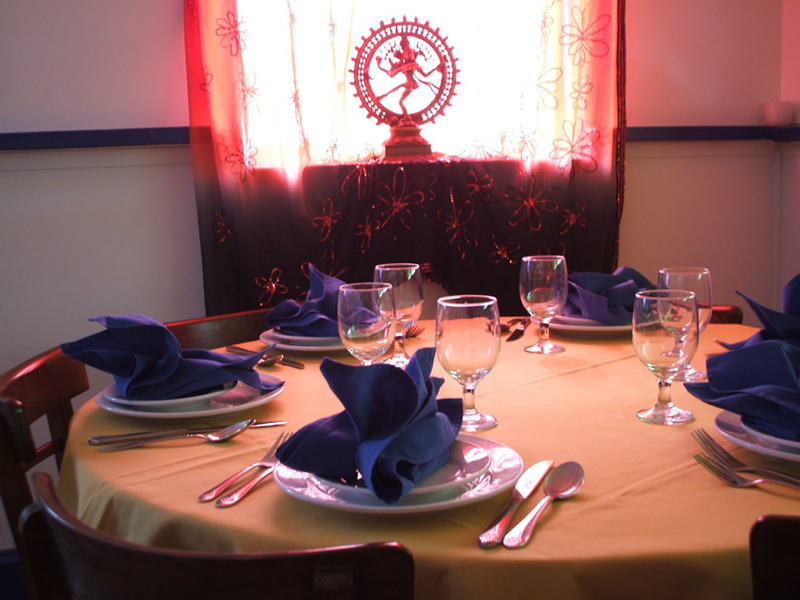 When we came back through town last Monday, we checked out a highly thought of Indian restaurant called Sona. The personable chef and owner, Shiv Kumar, explained how he made the soup that we both enjoyed that night: Aloo-- a creamy yogurt and potato bisque that was perfect on a cold night. For the entrée we shared the vegetable special and a lamb boti kabob with crunchy vegetables. Delish! The chef even created a special Chai torte for dessert. A really enjoyable meal. It's funny how a somewhat arbitrary stopover can often lead to very good times. We're so happy to have discovered Winchester. Over the next few weeks I'll be reviewing many of the other experiences we had during our two-week vacation.